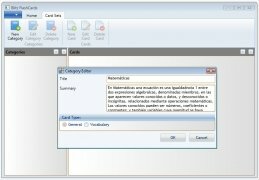 Blitz FlashCards is a useful program to create learning and study cards with which it will be easier to memorize certain information. When you need some help with your studies you can resort to this application and thus use one of the most effective memorization methods that exist. Organized into categories for the different cards. 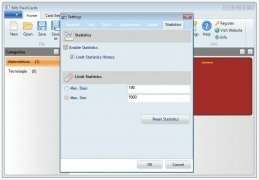 Access detailed statistics to analyze your learning. 5 different types of tests. 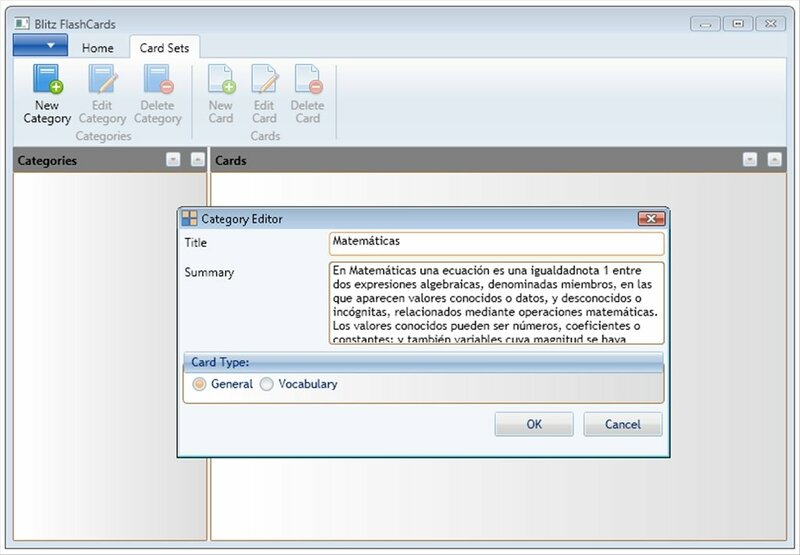 Printing mode to obtain your flashcards in a physical card and do without your PC when studying. 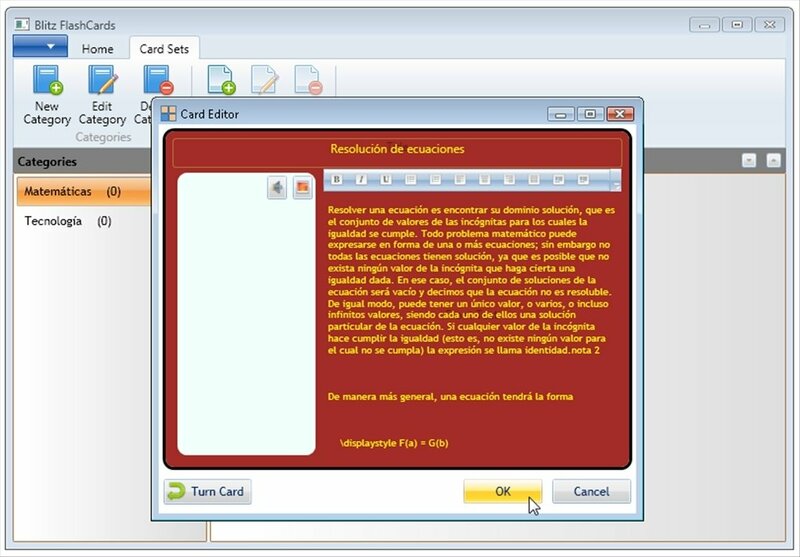 Add images and even audio files to each of the flashcards. When it comes to studying it is necessary to be productive. 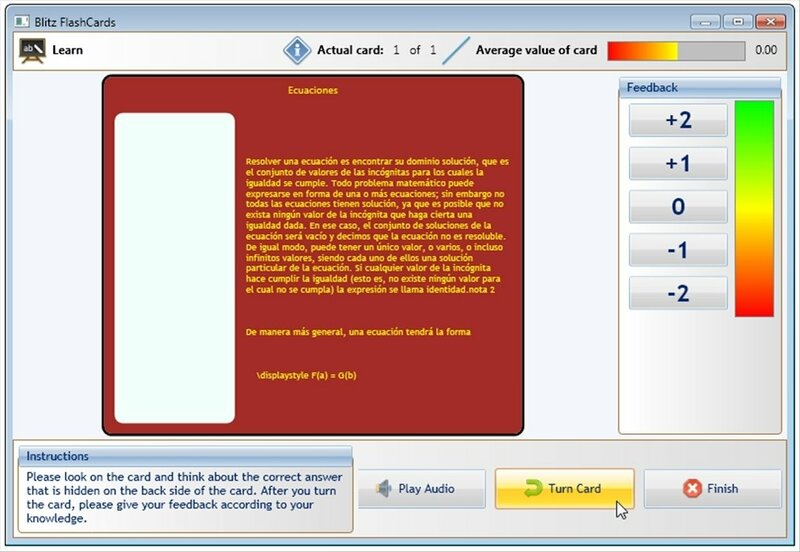 The learning system based on flashcards will allow you to synthesize the important information and reflect in a format that is easy to access and read, improving the retention of information. If you also make use of the questionnaires that have been included you will be able to learn very fast. 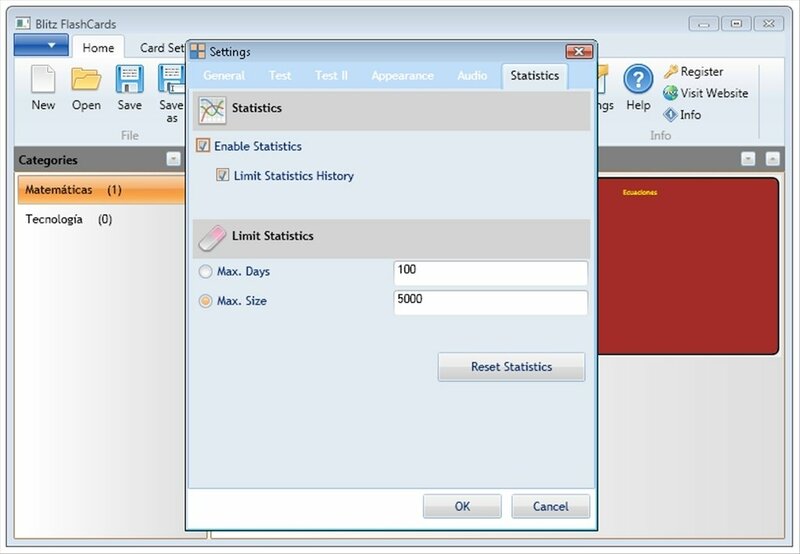 Access detailed statistics to view and control you evolution. 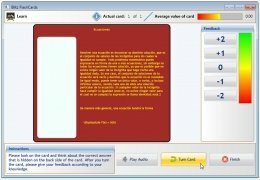 Download Blitz FlashCards, its flashcards will be the perfect method to study. 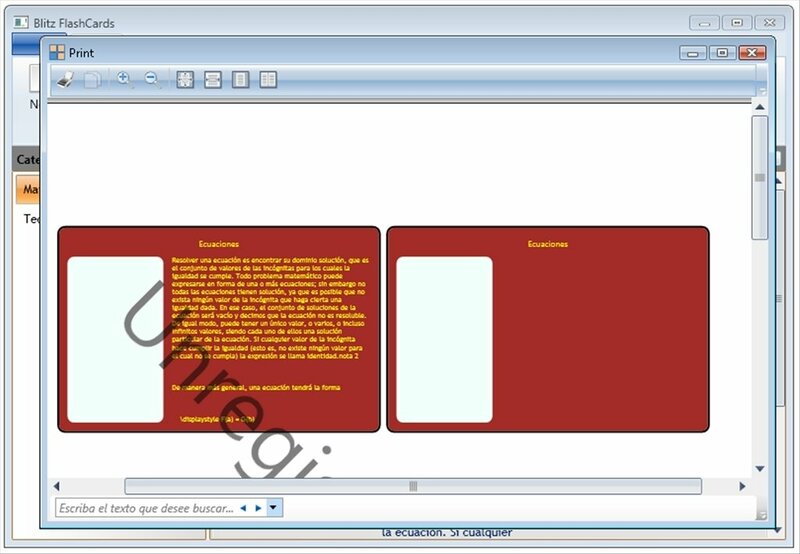 The trial version adds a watermark to the printed flashcards.